Photo of: East Coast of Ireland: Meath: Kells. 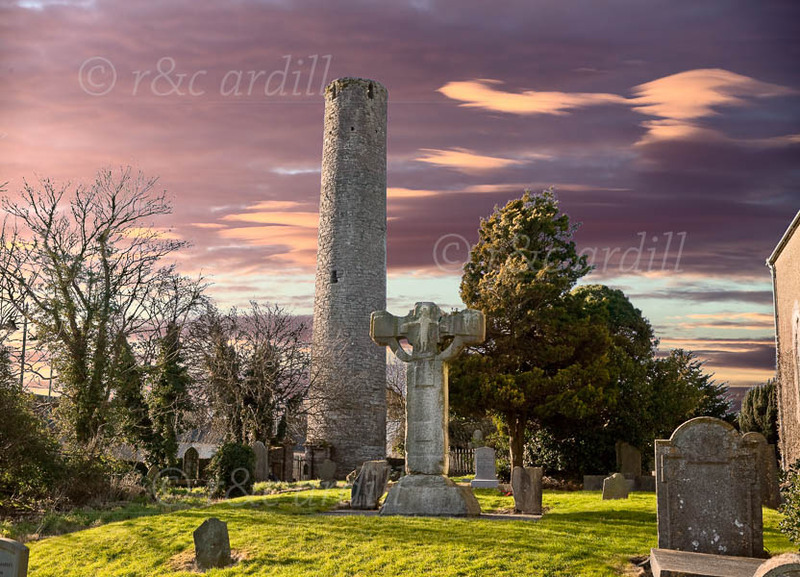 A view of the round tower and of one of the High Crosses at Kells (there are four famous High Crosses at Kells). The Monastery at Kells was founded in 804 by monks from St Colmcille's Iona. As well as the Book of Kells, finished here around the 9th century, the monastery is famous for it's Round Tower and High Crosses. The East or Unfinished Cross, pictured here, gives an insight into how these High Crosses were constructed. The carving was done on site and the various segments of this cross are still clearly visable. The capless round tower stands at over 25 metres tall.